L-Arginine is one of 20 amino acids, the building blocks of protein and is popular with body-builders and fitness enthusiasts. 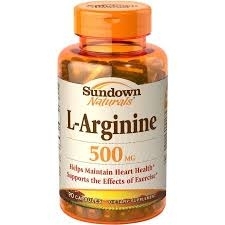 L-Arginine can serve as an energy precursor and is one of the most important amino acids involved in supporting heart health. For Adults, take two (2) capsules three times daily, preferably with a meal. As a reminder, discuss the supplements and medications you take with your health care providers.